What do you do when you're struggling to name something in your fantasy or sci-fi novel? I'm running out of names. I have a list in Evernote but I've used most of them. Some of the ways I created names in the past don't work anymore. With 12 stories I was bound to run out of steam. In comes name generators. They do tend to give you default overly fantasy names. You have to put those creative skills to use. This one has fantasy categories but I don't use them because the names don't fit my stories. I choose all categories. Sometimes, this generator will give me something that speaks to me. Most times, I need to get a little creative. The name is fine on its own, a bit of a mouthful, but I can pick this apart. Simple, unique. I like them. It's like a fun game. I use this when I want something with a punch. I know there's a thing in the fantasy community about names like Laa'Tha. Some people don't like apostrophe names. I don't see anything wrong with them as long as you don't go crazy. I use Seventh Sanctum mostly for their Lovecraftian Name generator. Some of the names sound kinda epic. Just like with Random Name Generator, I use this as inspiration to create something new. Ri to those who know him well. This one is the granddaddy of name generators. 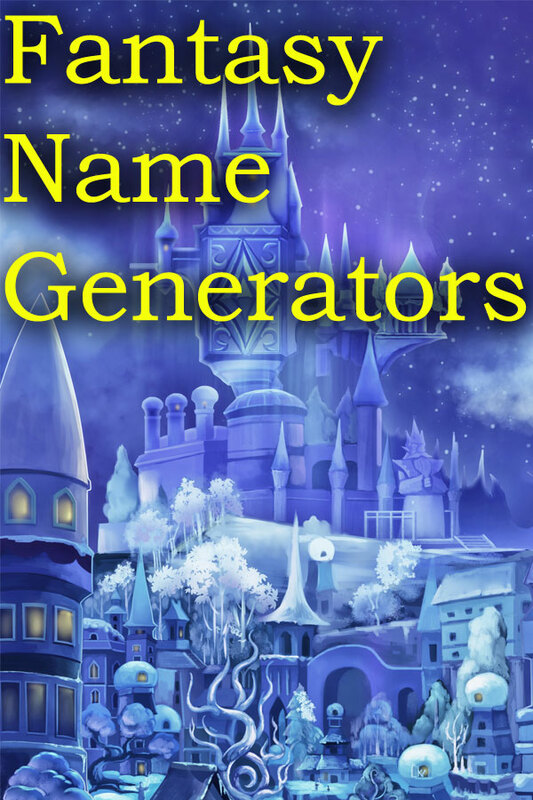 They have a generator for almost everything- spells, cities, towns, book names, monsters, robots.... For character names, I use the above generators. For things like places and plants, I go here. 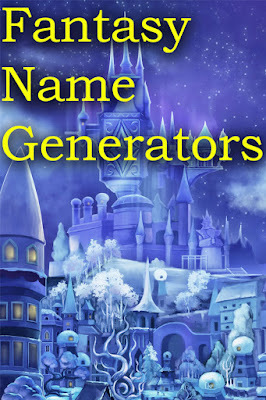 Do you have a favorite fantasy name generator? Comment below.